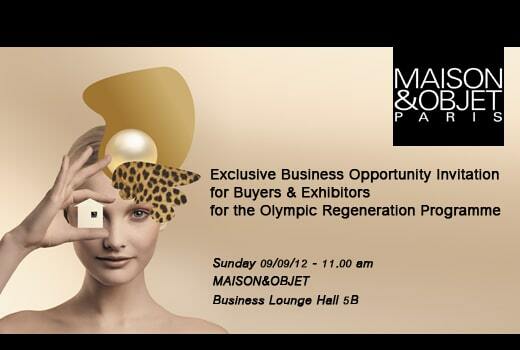 MAISON&OBJET in partnership with the Society of British Interior Design (SBID) are hosting a BUYERS & EXHIBITORS Business Opportunity in the Business Lounge at 11am on Sunday 9th September. As a MAISON&OBJET benefit, exhibitors and buyers can find out how to supply design services and products to our international infrastructure partners and investors to the London Olympic site as part of the regeneration development. Find out how to qualify and register your details free of charge on the SBID Approved Tender List. SBID is Britain’s only representative design organisation across Europe and the representative member of European Council of Interior Architects.